Leave a comment with your caption on the caption contest doodle on the www.PositivelyPolyAnna.com website (below). 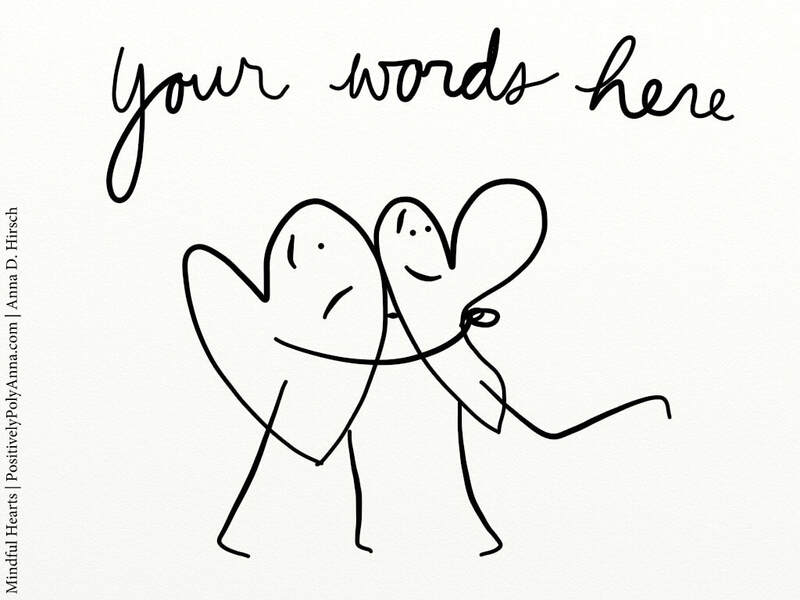 After May 9, 2019, Anna will pick a winner and announce the winner with a finalized #MindfulHearts cartoon — with the winning caption — that will be posted on or shortly after that day to the #MindfulHearts page. The winner will also receive a piece of original art (to be created and delivered to any address) of a completely new #MindfulHearts pyrography drawing on wood panel. This space is all about you and your creative genius.